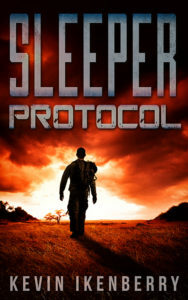 Sleeper Protocol is a new novel by up and coming military science fiction author, Kevin Ikenberry. Having read much of his short fiction, I would count Ikenberry amongst the new wave of writers that are bringing adventure back into hard science fiction, joining the ranks of talented authors such as Brad R. Torgersen, Stephen Gaskill and Bradley Beaulieu. Yet Sleeper Protocol was not exactly what I expected, but not in a bad way. Set a few centuries into the future, a man awakes in a wheelchair in Sydney, with no memory of who he is. His doctors, while courteous and helpful, are forbidden to tell him anything about his condition or his identity. Silence is integral to the recovery process, they say. He needs to unveil the missing details on his own, then they let him loose upon the world. In time the man comes to realise that he is a former soldier resurrected from the 21st Century, and he may or may not know a secret that can help defend humanity from an impending invasion from advanced, hostile aliens. If that wasn’t enough of a bad news story to wake up to, the man has a single year to work out who he is, before the government, the military, or both, decide he is a failed experiment and shut him down, literally. 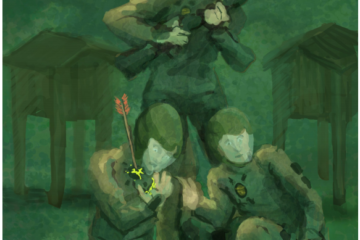 When I commenced with Sleeper Protocol I was expecting a military space adventure with significant high tech weaponry, space battles and alien killing machines, but this is more a character piece. It’s about the nature of identity, and how history is like foreign country: people doing things differently there. These are the issues facing our protagonist: can he fit in and will he understand his purpose? So what starts out as a Point Break style hangout in a hip Australian surfing town soon transpires into a journey, both into the soul, and into the wilderness of a devastated and radioactive Middle America. Yes folks, the U.S. is no longer a viable superpower in this vision of the future, which is a refreshing change for this genre. There is also a love interest, a woman who may or may not be everything she claims to be, and an artificial intelligences that doesn’t always understand human emotions the way people do. I’m not sure how much I enjoyed Sleeper Protocol. 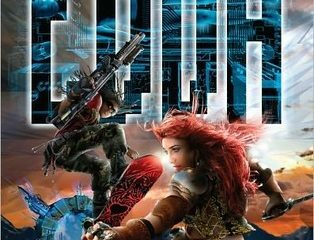 It is well-written and engaging, particularly when compared to other science fiction of late that gets laborious with long descriptions, over the top technobabble and reflective discussions on past events – you’ll find little of that here. I think it was the pacing that bothered me. Sleeper Protocol was little slow at first. Also the marketing didn’t help, as I was expecting more space battles. But don’t let these quibbles deter you, Kevin Ikenberry is a talented author and an ideas man. Sleeper Protocol is an excellent start to what is hopefully a fruitful career. I’m sure we’ll be seeing more of his work very soon. Read an interview with Kevin Ikenberry here.